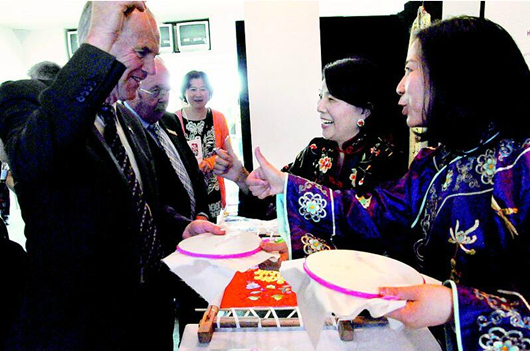 A Hubei intangible cultural heritage exhibition kicked off on May 27 in Christchurch, New Zealand. A total of 12 items including Han Embroidery, Xilankapu, Shadow Play and Zhaoliqiao Brick Tea selected from over 400 Hubei intangible cultural heritage items were on display. The exhibition showcased Hubei’s dynamic traditional culture genes through 28 image-text panels, more than 100 pieces of objects and on-site making and performances of 12 inheritors. It is an epitome of Jingchu Culture, and aims to allow Zelanian audience feel the charm of Chinese culture in close distance.